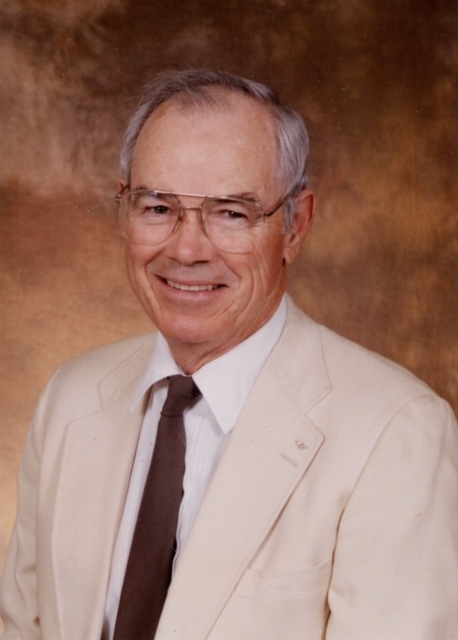 Dr. J. Howard Downs, 88, of Kings Ranch, AZ, passed on July 8, 2016. Born in Allegan, MI, the son of an FBI “Untouchable”, he was a Marine and an Army Veteran of WWII. Howard earned BS, MA and DDS degrees. He had careers in law enforcement, teaching, and dentistry among many others. For decades, he combined his passion for travel and philanthropy by traveling to developing countries and providing free dentistry. As a Freemason he was a member of Apache Lodge 69 and the El Zaribah Shrine. His zeal for perfection made him an exceptional dentist. He retired from his East Valley practice in 1999. Howard was an avid pilot and his love of flying is shared by his sons and a grandson. His adoration for his devoted bride of almost 60 years never faltered. He is survived by his wife Daphene, their 5 children, Joseph, Dana, Darcy, Dan, and Reed, and 3 wonderful grandchildren. Services will be held on July 23, at 10:00am at the Church of Jesus Christ of Latter-day Saints, 2520 E Old West Hwy, Apache Junction, AZ. Howard will be deeply missed. Please share in the celebration of his life. In lieu of flowers please consider a charitable donation to the Shiner’s Children’s Hospitals. I am so sorry to hear of the loss of your loved one. Please take notice of the promise at Acts 24:15, which says that there is going to be a resurrection. For this work, God longs to do it. (Job 14:14, 15) May these scriptures bring you a measure of comfort in your time of mourning.